For a fashion-forward feel, look no further than this edgy design from Mollini. 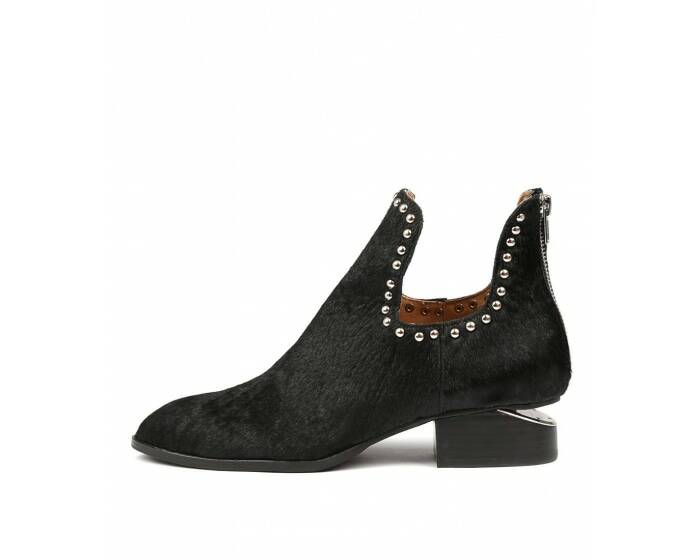 Featuring metal studs around the low-cut sides and a sliced block heel with a metal plate, this ankle boot pays homage to some of the biggest trends of the season. A great way to enhance your day to day looks, pair this shoe slim jeans, tailored shirts and other weekday staples.